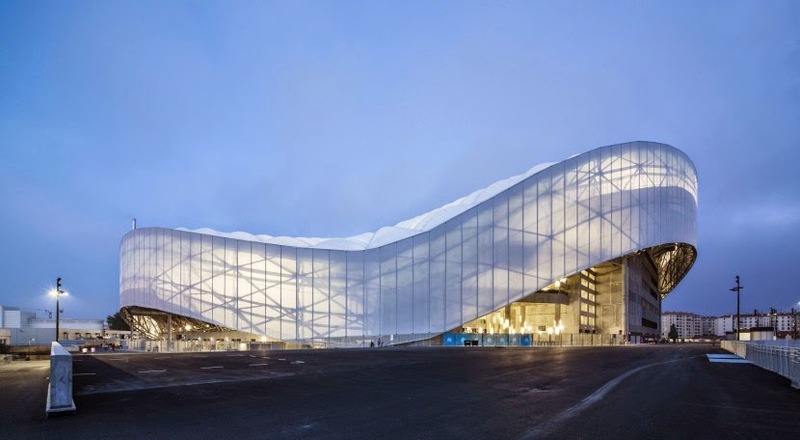 The Stade Vélodrome was generated from a consortium of Arema, GFC, SCAU, and EGIS. Elioth, the team from EGIS, applied its expertise in the roof and cladding to this steel structure. Elioth implemented large-scale parametric geometric modeling tools with Rhino and Grasshopper, using these in conjunction with finite element software. These tools enabled real-time updating of the computational models. To generate and re-generate the model in a few minutes for the framework of thousands of members, Elioth relied on this parametric geometry. Also, one side of the stadium includes a transparent area to let sunshine through to the lawn. Using algorithm optimization, Elioth used Rhino Grasshopper + Galapagos to generate the shape of a water drop for the outline of the area.